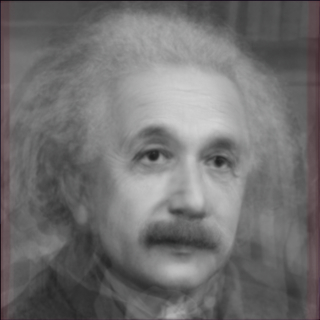 Average faces are in general generated from portraits of different individuals. Such average faces may reveal common traits among the individuals. The average face shown above was generated from 13 portraits. However, all of the 13 portraits depicted a particular individual, a famous physical scientist. So, this is an average face of only one person. It may possibly reveal his essential traits.